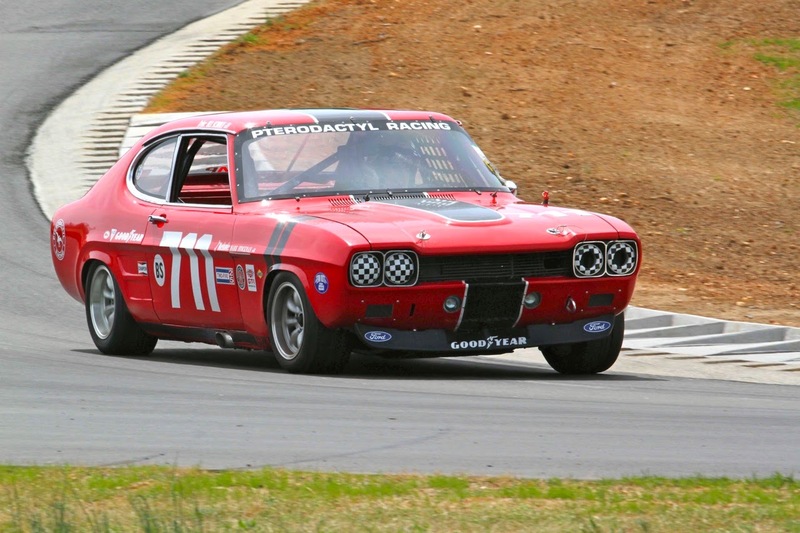 Mike Matune is trackside at Virginia International Raceway for the start of the VDAC & VRG historic racing season. For an even dozen years VDCA & VRG have been kicking off the Spring racing season with their Wild Hare Run. 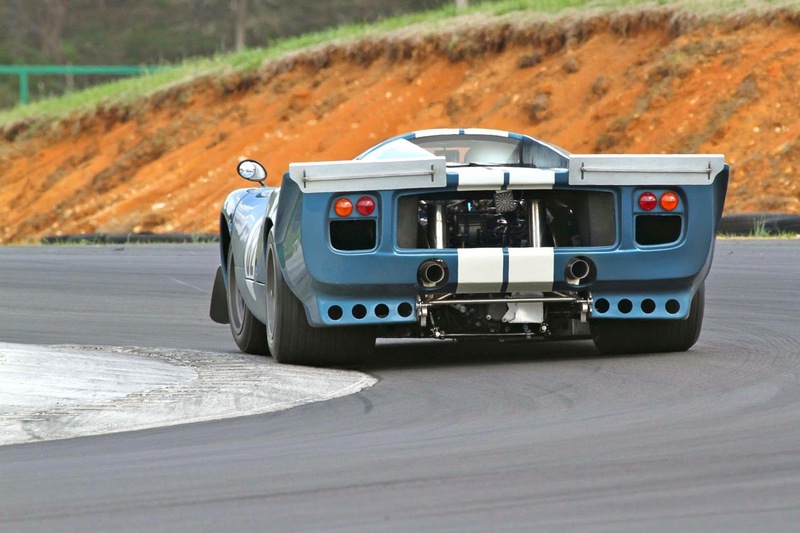 This year’s event at VIR (VIRginia International Raceway) in Southern VA contributed to that heritage. About 150 cars answered the call and VIR was ready to show off its new track and paddock paving. 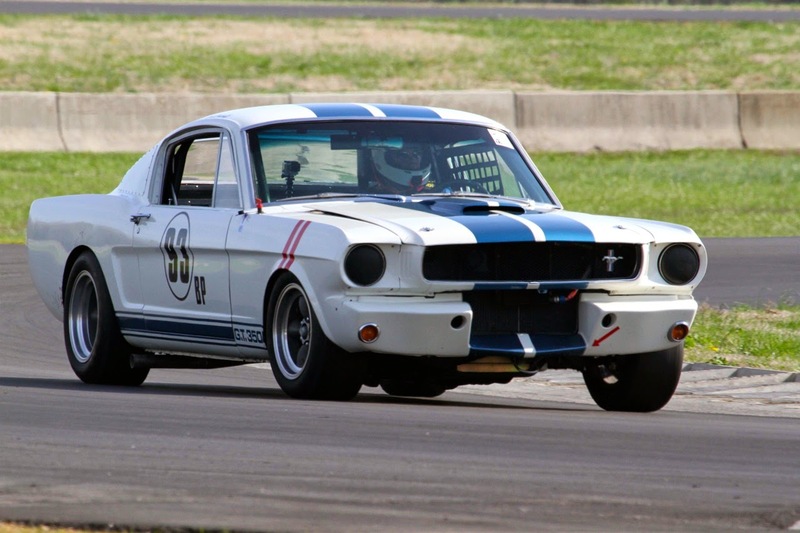 Scott Cracraft’s Shelby GT350R clone, above, is one of four cars originally built for FIA Historic Racing in Europe. As such, it is built very close to standards set forth in the FIA’s Homologation papers for the car updated for safety standards. And it makes beautiful music! Left, ultra-slick Welk vintage racing E-Type Jaguar. Ira Schoen made the trip from Northern VA and brought his “European Mustang” (aka Capri), below, with him. It is similar to the Mustang concept wherein more ordinary sedan components were repackaged with sportier bodywork. 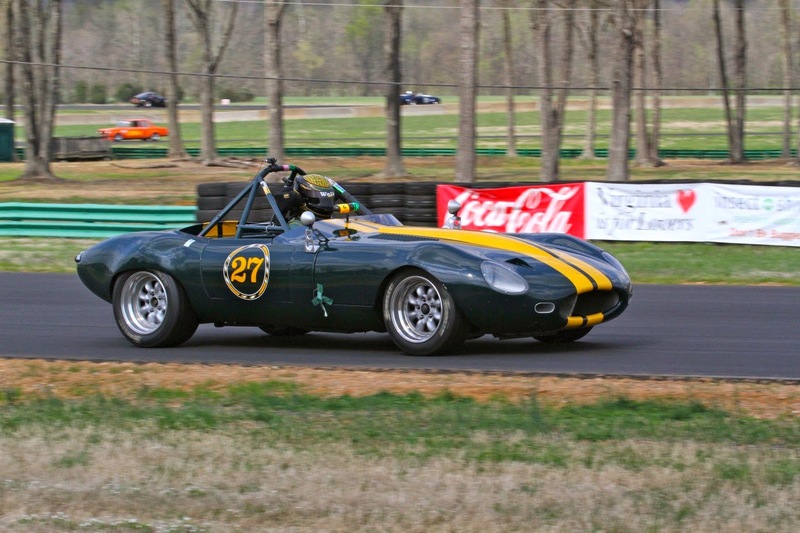 Ira’s racer features a high winding 2,000-cc Four with dual Weber carbs. 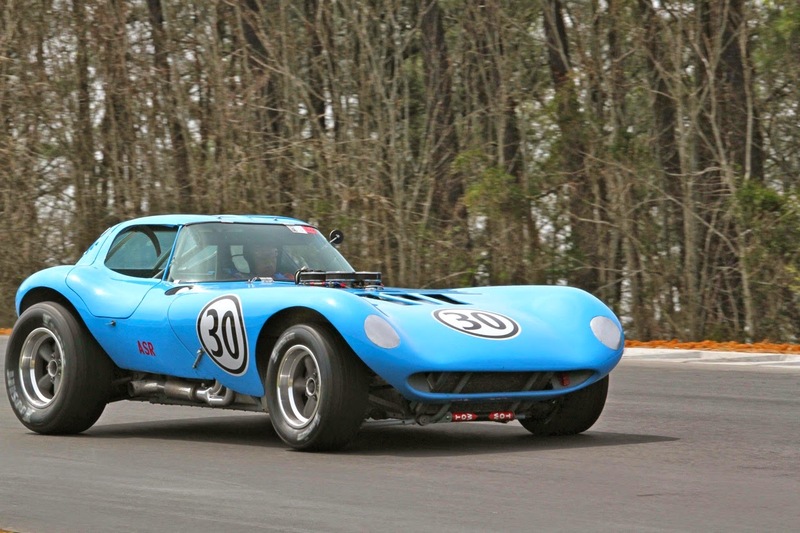 Jay Stephenson’s Cheetah is another car from the GM “what might have been if we hadn’t stopped racing” department. These cars were conceived as Cobra beaters by Bill Thomas and powered by small-block Corvette engines. They feature an extreme engine setback with the transmission connecting to the rear end with a single u-joint! 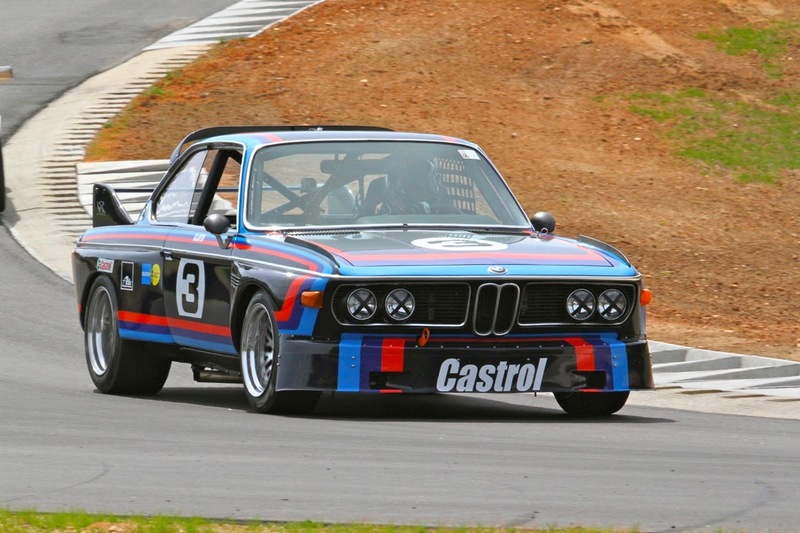 BMW’s CSL “Batmobiles” have been racing successes around the world. The 3.0 CSL Group 2 clone raced by Bill & Billy Glavin pays homage to the beginning of the lineage, with its blue paint (actually a Jaguar color), more modest bodywork and three-liter naturally aspirated engine. 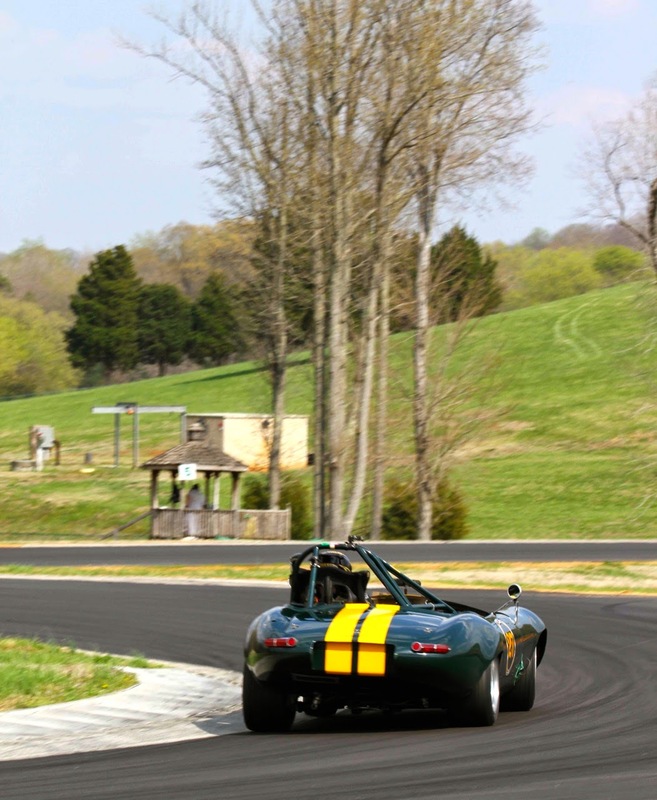 Randy Williams manhandles the Welk vintage racing E-Type heading towards Turn 5. Appreciating its lines, you realize how right Henry Manney was when he said the E-Type was, “The Greatest Crumpet Catcher Known to Man” in Road & Track magazine! 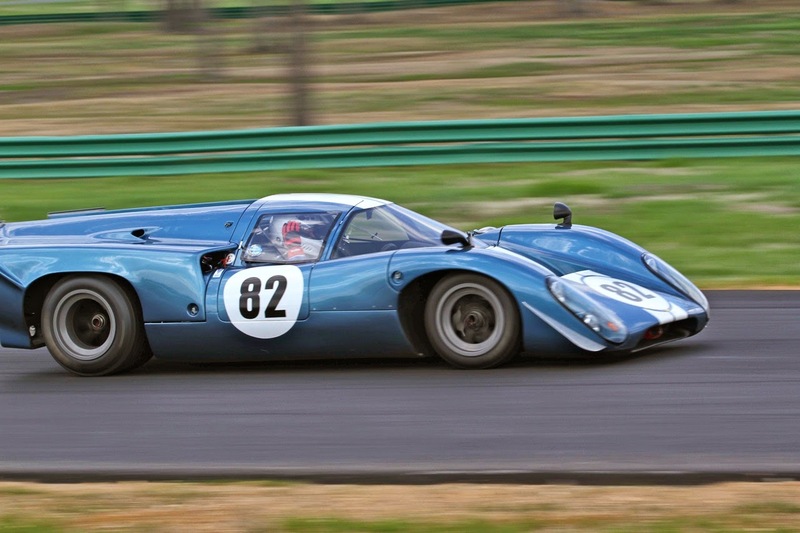 The background blurs, as Hobart Buppert’s Lola T70 is hard on it on his way to another fast lap. The T70 was a mainstay of the USRRC and early Can-Am racing series as well as countless other unlimited road racing series around the world. 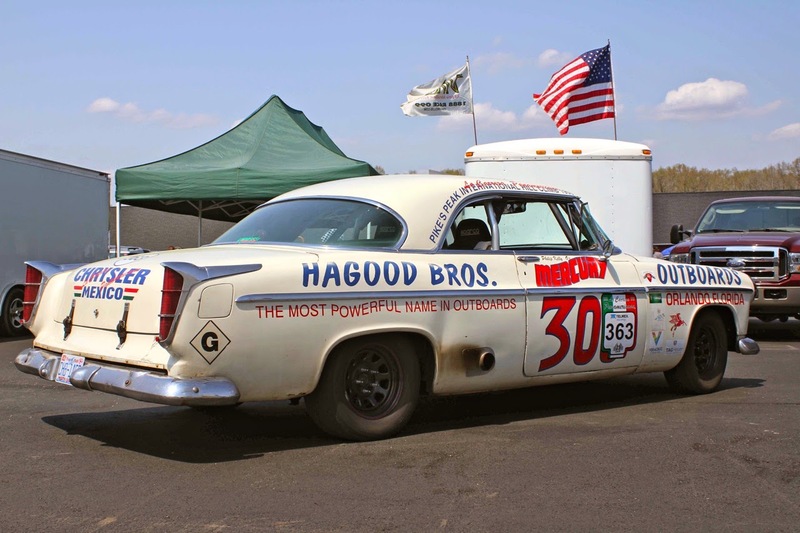 This La Carrera Panamericana road racer was parked in the pits, invoking memories of Carl Kiekhaefer’s successful NASCAR run in the 1950s. Kiekhaefer owned Mercury Marine, the outboard engine manufacturer, and fielded a highly successful team in early NASCAR competition.